Okay now onto the food…. Last fall, I messed around with a recipe for butternut squash sauce. 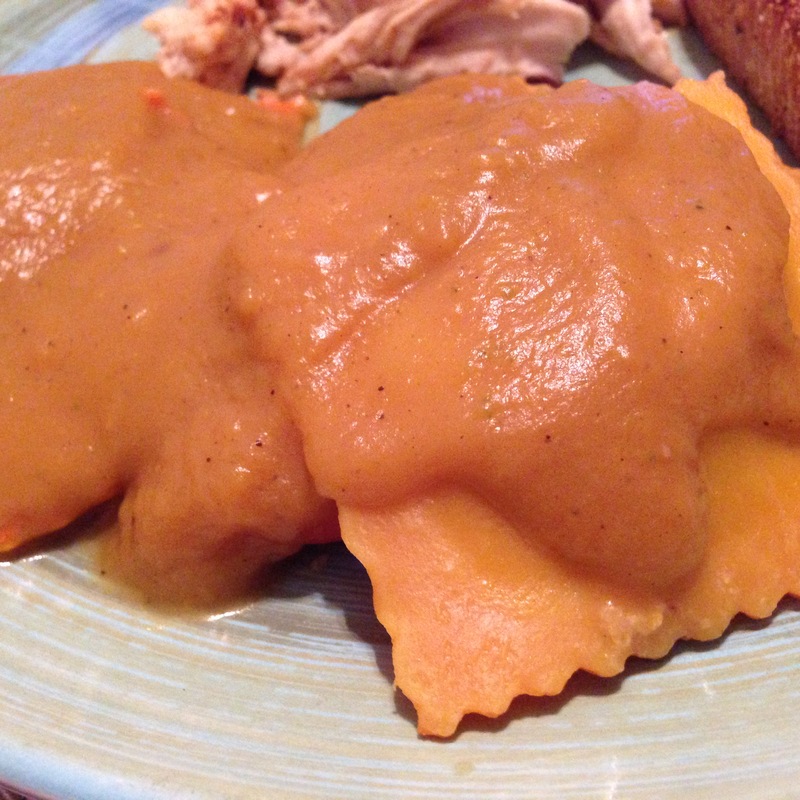 My family had gotten pumpkin ravioli from someone probably almost a year early and had no idea what to do with them. My mom complained that this would be a squash on squash meal and wasn’t too thrilled with the sauce idea…. Then I made… Yeaaahhh she loved it. I was myself truly impressed with how delicious the sauce had come out and I knew this was one for the archives. 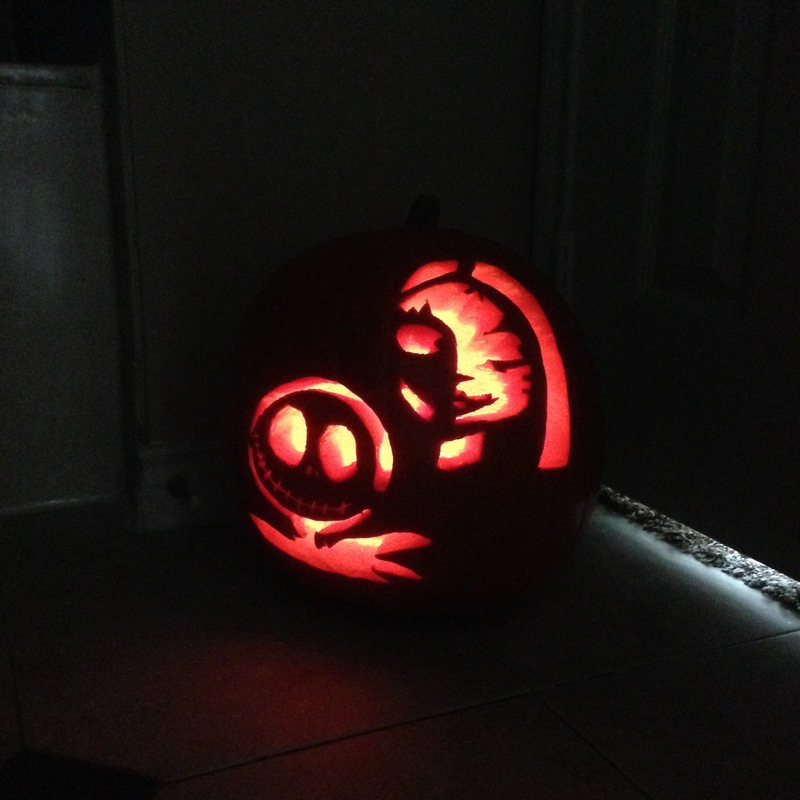 This year, I found pumpkin ravioli at Trader Joe’s and decided to re-create this masterpiece for the boyfriend and I.
Needless to say, he also LOVED it. The recipe made enough for us to have on our ravioli and some to save for another time. Warning: it is on the thicker side; which we both like. If you want a thinner sauce, add water (or broth) as you reheat. I cut up a full large peach into small cubes and cut a lemon into thing slices. Using a lighter red wine, I used a pinot noir, fill glasses almost halfway with wine. 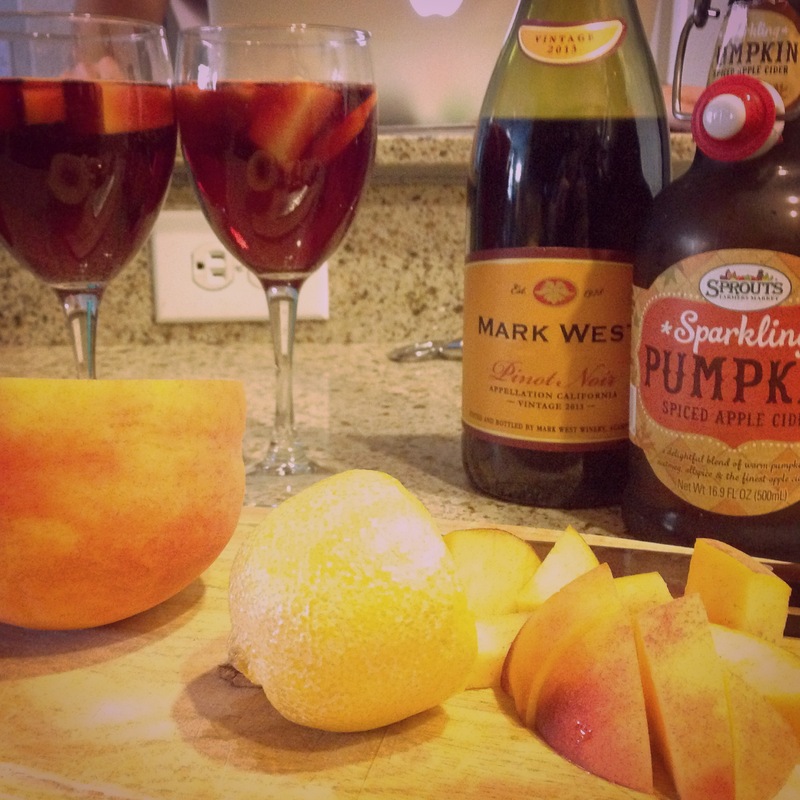 Top off with sparking pumpkin apple cider. To close out the night, we bought cookie cutters in the shape of a coffin and a frankenstein head. Last year we made a halloween themed gingerbread house. However, it was made with a pre-done kit we bought at Trader Joes. This year, when my boyfriend came home with the cookie cutters a couple weeks ago, I knew they’d be a perfect replacement for the gingerbread house. 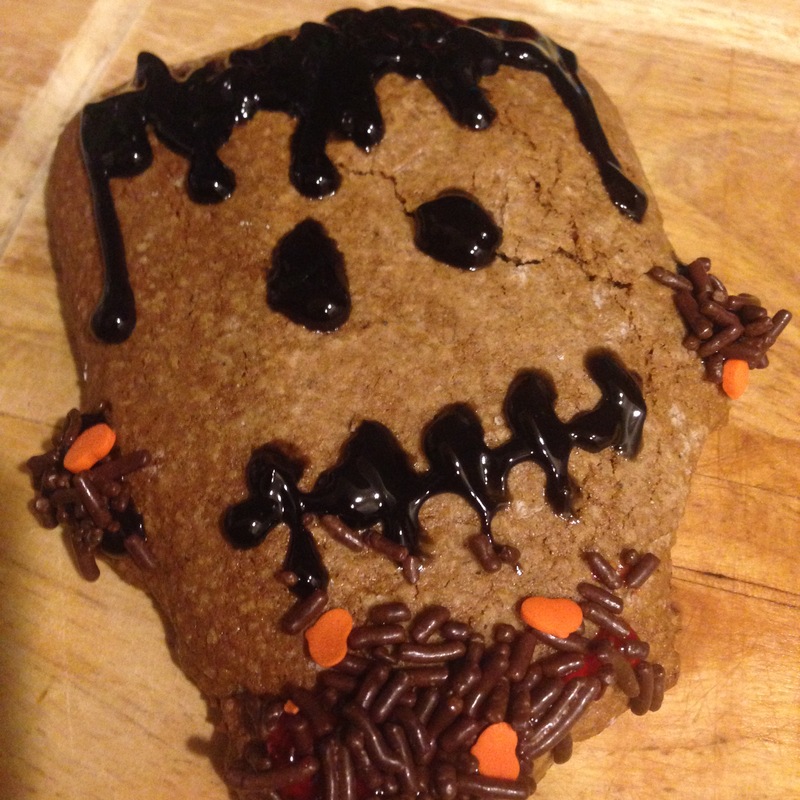 So I experimented a bit with a fantastic new gingerbread cookie recipe. 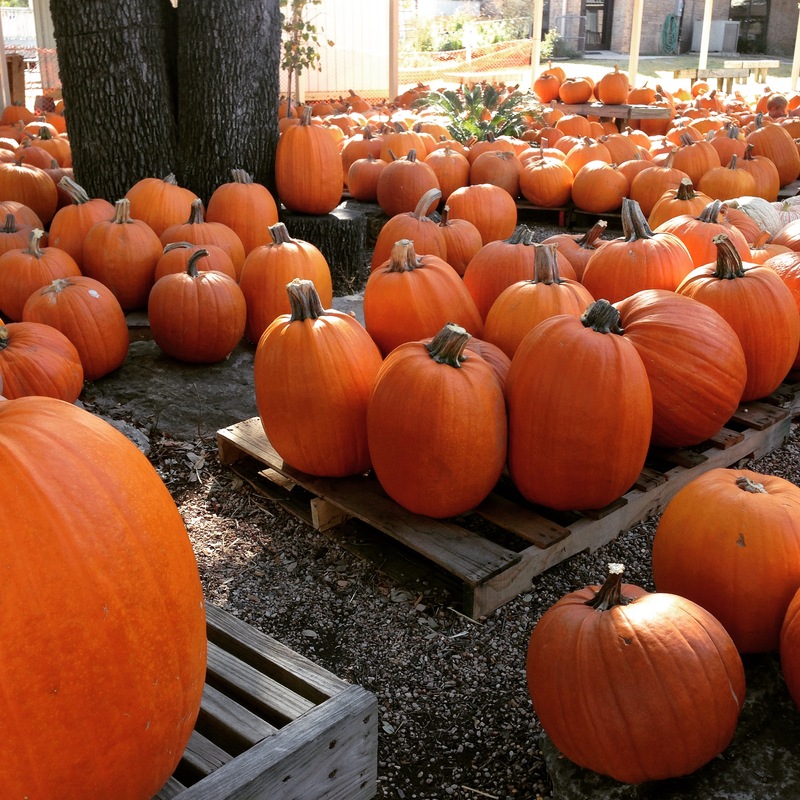 Fall is a time to be enjoyed. Get out and take in the sunshine before it gets bitter cold. Embrace all the flavors and fun food finds. It is truly a remarkably fun time to be had by all!